Important Info: PLEASE NOTE: The appearance of any particular artist cannot be guaranteed. Please note that Sharon D. Clarke will not be performing on any Monday evenings. The role of Caroline will be played by Naana Agyei-Ampadu on the following dates – 4 February, 11 February, 18 February and 25 February. There will be an Audio Described performance on Tuesday 26th February. The American writer Tony Kushner has many fans on both sides of the Atlantic, and deservedly so. His career has included some top stage productions and acclaimed high profile films over the years and it is clear that he is an influential voice in the modern day. So when it is announced that one of his shows is returning to the West End, audiences take immediate notice, especially when that show is Caroline, Or Change, a semi-autobiographical musical that has already earned awards and nominations worldwide and returned to the UK with a run at the Chichester Festival Theatre in 2017. That production has since transferred to London and this culminates with a high profile run at the West End’s Playhouse Theatre from late 2018, bringing Sharon D Clarke back to the capital and providing London theatregoers with a chance to experience a compelling narrative helmed by the talented director Michael Longhurst. That narrative includes the title character of Caroline, played by Sharon D Clarke. She is an African American single mother with many children, so works as a maid for the Gellman family in 1960s Louisiana. Whilst she struggles to make ends meet she also strikes up a friendship with the Gellman family’s eight-year-old Noah, who has his own struggles related to his mother’s death and his father’s subsequent remarriage. But this friendship brings its own dilemma as Caroline must face a moral and legal financial quandary. Tony Kushner has been behind some high profile productions over the years. In addition to Caroline, Or Change he has also penned plays like Angels In America (winning a Pulitzer Prize), A Bright Room Called Day and adaptations of Brecht’s work. His film work, meanwhile, has seen him write and co-write Stephen Spielberg productions like Munich, Lincoln and the upcoming West Side Story. So after many decades in the spotlight his work still finds a large audience. This will undoubtedly be helped by the return of Caroline, Or Change to a London stage, bringing the acclaimed Sharon D Clarke and director Michael Longhurst, to the West End. 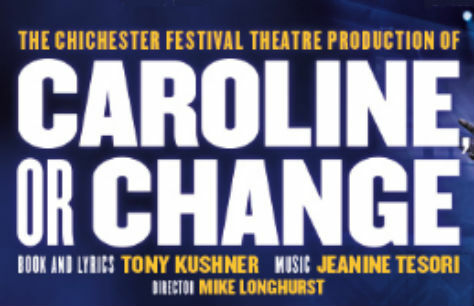 Caroline, Or Change appears at the Playhouse Theatre later in 2018, following the appearances of The Best Man and The Jungle. It opens at the West End location on Tuesday 20th November 2018.